Hanqin Qiu Zhang is Professor of international tourism at Hong Kong Polytechnic. She received her BA (Hons) from Nankai University in Mainland China, her MA degree from University of Waterloo in Canada, and her PhD from University of Strathclyde in UK. She has been teaching China tourism related subjects at both the undergraduate and graduate level. Hanqin Qiu Zhang is Professor of international tourism. She received her BA (Hons) from Nankai University in Mainland China, her MA degree from University of Waterloo in Canada, and her PhD from University of Strathclyde in UK. She has been teaching China tourism related subjects at both the undergraduate and graduate level. 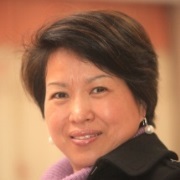 Her research interests are tourism studies, consumer behaviour, and China hotel and tourism development and policy issues.She has served as guest editor for the International Journal of Contemporary Hospitality Management and the Journal of Vacation Marketing on Special Issues for China Hotel and Tourism Development. She was also the regional editor for the International Journal of Contemporary Hospitality Management. She has published more than 50 refereed articles in major international journals (e.g. Journal of Travel Research, Tourism Management, International Journal of Contemporary Hospitality Management and Journal of Vacation marketing). She is also a regular keynote speaker at the hotel and tourism academic and industry conferences/ workshops in different countries. Dr. Zhang has been actively involved in consulting and executive training projects in Asia. Since 2000 she has worked for World Tourism Organisation as a consultant to develop tourism master plan for Yunnan province 1999, tourism master plan for Heilongjiang province in China in 2002, and tourism and hotel curriculum plan for Guilin Institute of Tourism in China in 2007.